Disclosure: We received this product to facilitate our post. All opinions are our own. 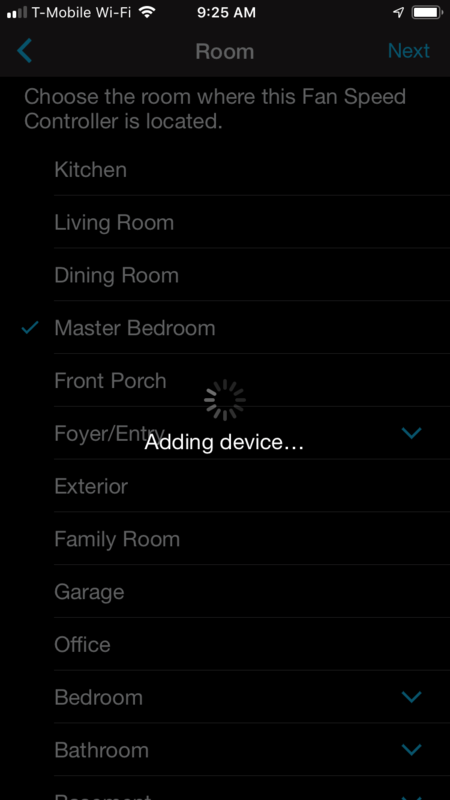 Staying cool this summer will literally be a breeze, thanks to our new Lutron Fan Control! 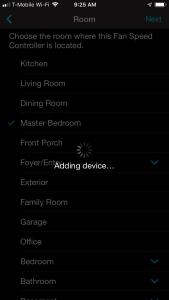 We tested out the Caseta by Lutron Fan Speed Control, available on Amazon and Home Depot. 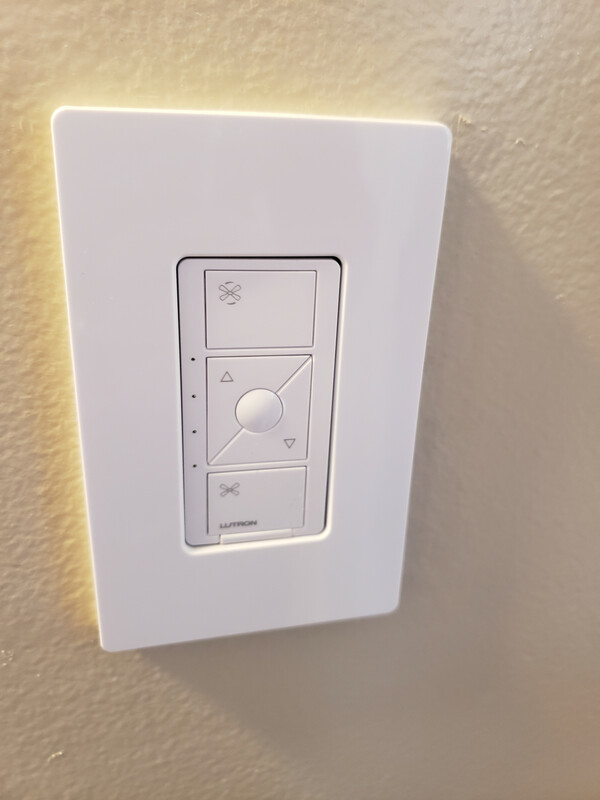 We are big fans of Lutron Electronics in our household, loving the integration of our lights and even our Serena Shade with our smart home devices. Therefore we were really excited to discover the next product unveiled within the Lutron family – the Lutron Smart Fan! The Smart Fan turns your ceiling fans into smart devices, controlling their speed and for our model, the light that is part of the unit! 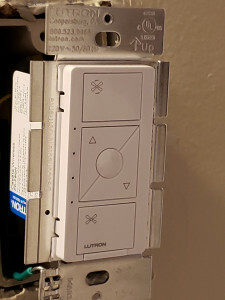 Prior to installing our Lutron Smart Fan device, we had a simple, traditional wall switch that controlled the ceiling fan and light in our bedroom. If we wanted to turn the light on or off or adjust the speed of the fan, we would pull the chains accordingly….which meant we never actually did it, since who uses manual controls any more these days? 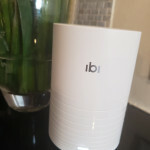 Now, we can easily turn the fan on and off with a push of a button in our wall unit, or control the fan and light via our Alexa using voice control. I am happy to report that set-up was easy! It took my husband and I all of about ten minutes to install the fan control. We took our old wall plate off the wall, unveiling the contents in the above image. Following the directions, we connected the new device using the provided wire connector. 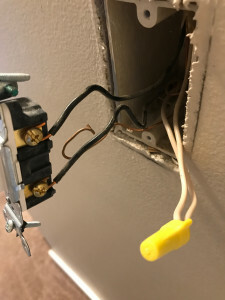 Once it was in the wall and connected, we searched for the fan control in our Alexa app, and added it to our Master Bedroom, which already had a Lutron table lamp. We are going to set up some scenes within the app, such as “goodnight” where we dim the light and put the fan on low. Since we don’t have central air, we are also going to have a summer scene, where the fan will turn on max to give us the best circulation on hot days! For our unit, if we want just the fan or only the light on, we can manually pull the chain to turn off the functionality that we aren’t looking to use, giving us the flexibility of using the fan or the light in isolation. 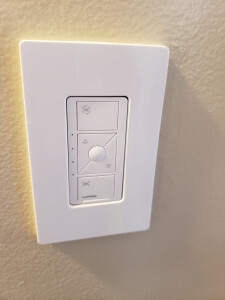 In addition to giving us the flexibility of dimming the lights and controlling the fan via Alexa or our phones, the new wall plate looks much sleeker than our previous one, and does allow us to change the power of the fan speed and light right from the wall. We love our new Lutron fan control! Looking forward to staying cool this summer with this easy-to-install product! It comes in three colors (white, almond, and black) to best match your wall decor!